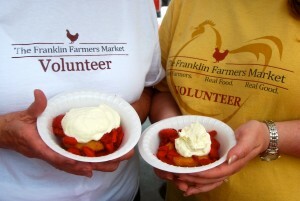 This year the Franklin Strawberry Festival brought smiles to everyone! 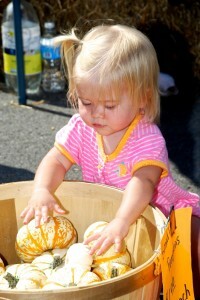 A fun day for ALL, especially the kids loving the sweet tasting strawberries, strawberry shortcakes and donuts. 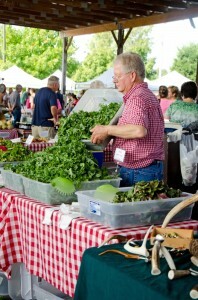 We had our largest crowd of the year even with scattered rain showers. 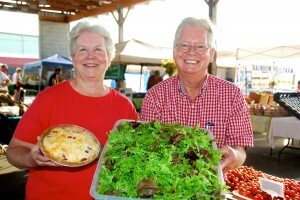 We are blessed to have so many customers who support our local farmers each Saturday of the year looking for fresh farm produce, baked goods and unique artisan crafts. 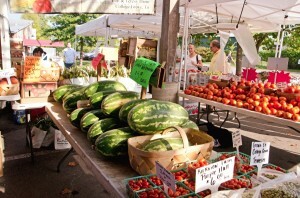 A big THANK YOU to all our local farmers who picked strawberries Saturday morning, making 2nd deliveries of strawberries to market for Festival customers. 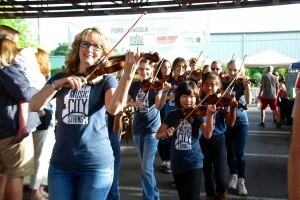 We are grateful for having Ford Lincoln of Franklin as our Strawberry Festival Sponsor. 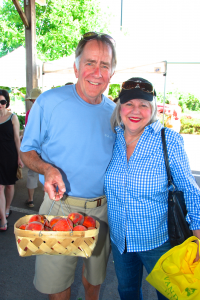 Without Greg Brown’s generous support of our market and Tennessee Farmers, it would be difficult to have such a large Strawberry Festival. 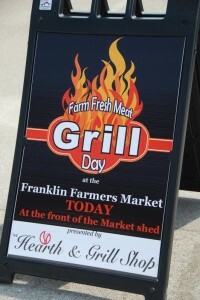 Please support Greg and his Ford Lincoln of Franklin local business! 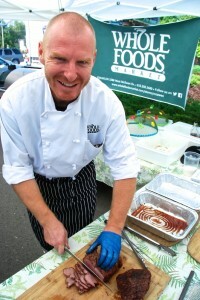 Thank you to Norton Family Farms for baking over 600 shortcakes and Ellie’s Old Fashioned Doughnuts for over 600 strawberry doughnuts. 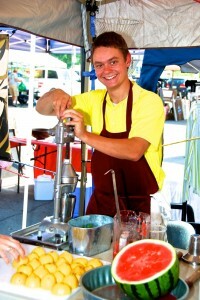 Whipped cream was supplied by Hatcher Family Dairy. 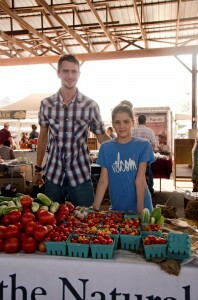 The fresh local strawberries came from Delvin Farms, Kelley’s Berry Farm, Kirkview Farm, and Rocky Glade Farm. 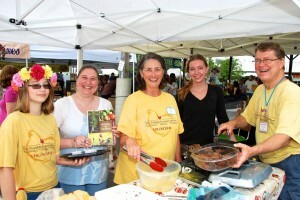 All the festival preparation and serving of strawberry shortcakes could not have been accomplished without our army of volunteers. 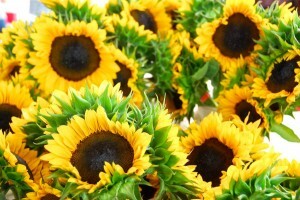 You guys are the BEST!!! 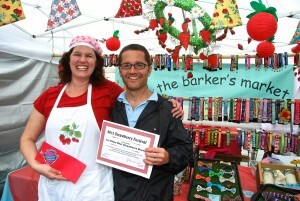 A special thanks to our Celebrity Judges who had the difficult task of making the tough decisions of Best Tasting Strawberry and Best Decorated Strawberry Booth. 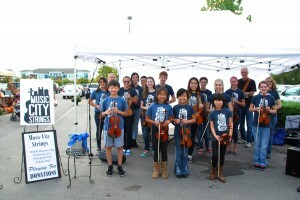 All of you did an outstanding job! 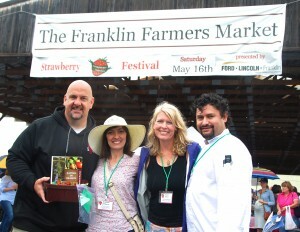 We appreciate your time and dedication to judging this years Franklin Strawberry Festival! 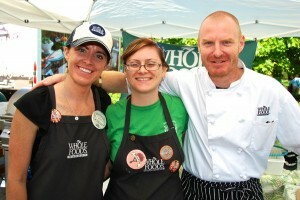 From all our Market staff, Farmers, Bakers and Artisans…THANK YOU!!! 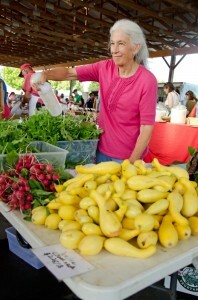 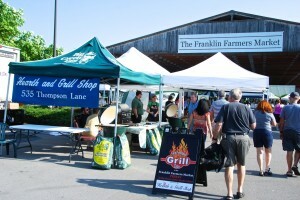 The Franklin Farmers Market enjoys putting on this event each year. 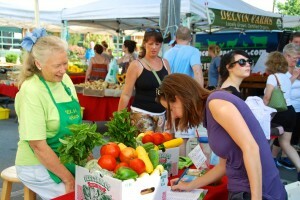 We appreciate all our customers to come out to support our market each Saturday! 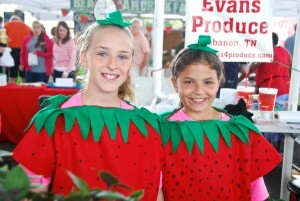 Visit our market photo gallery to see pictures of all the fun we had during this years Strawberry Festival! 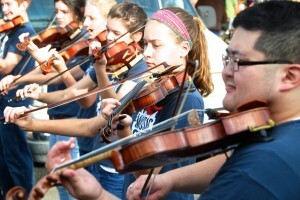 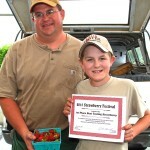 Thank you to the Williamson Herald for covering this years market Strawberry Festival! 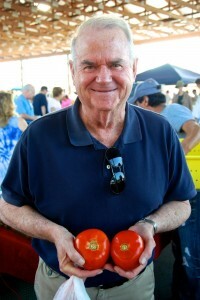 This entry was posted in Market Festivals, Market Saturday News and tagged Farmers Market, Franklin, Franklin Farmers Market, Franklin Strawberry Festival, Joe Dubin, strawberries, strawberry, Strawberry Festival, strawberry shortcakes on May 19, 2015 . 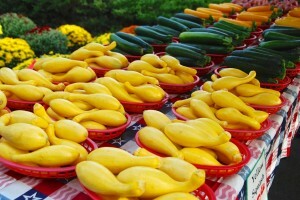 The calendar says it’s September, but at the Franklin Farmers Market this past Saturday, you couldn’t tell it with so much summer farm produce still available. 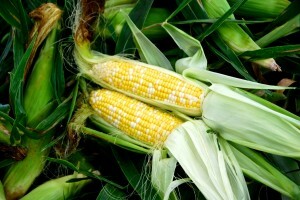 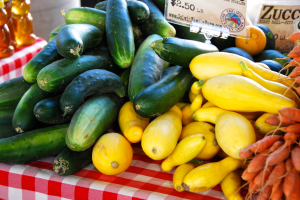 The temperatures made it feel like a hot day in July but that’s okay because the warm weather makes the season for those summer farm produce vegetables longer than usual. 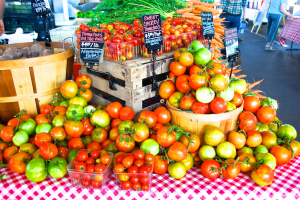 There’s still plenty of tomatoes, watermelons, sweet and hot peppers and all your other summer farm produce favorites at the market. 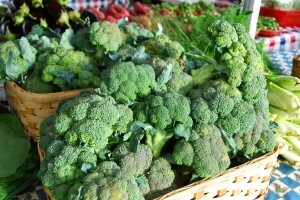 We saw several people thinking ahead though, buying large numbers of veggies to freeze or can to enjoy the summer produce all winter long. 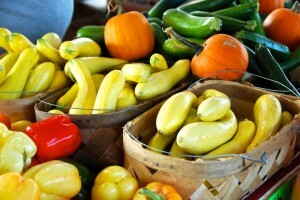 That’s a good thing to do, but if you’d rather eat food straight from the garden, don’t worry. 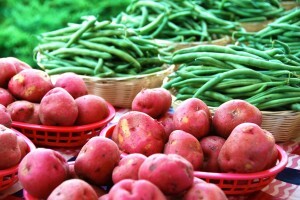 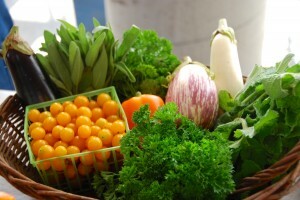 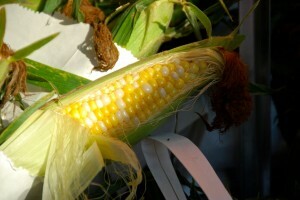 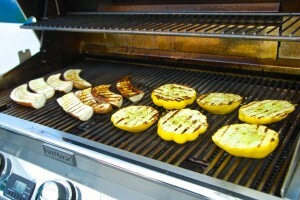 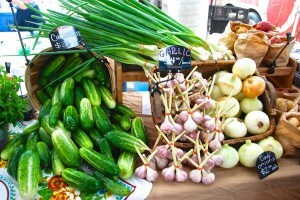 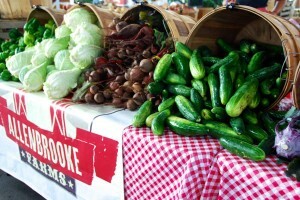 There will be summer vegetables at the market for several more weeks. 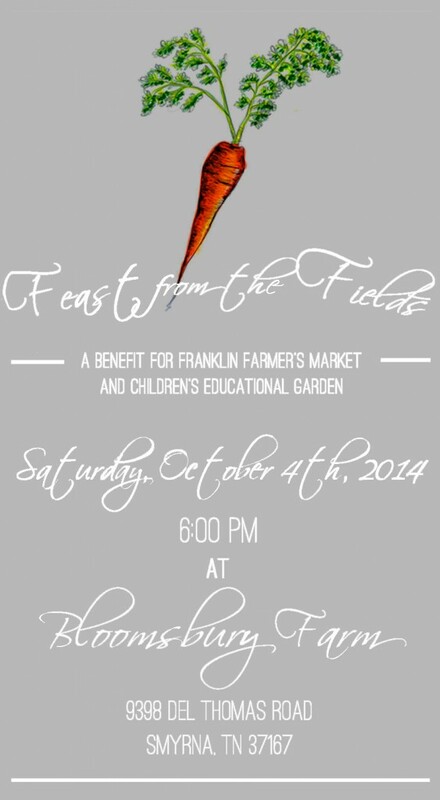 For those of you who are true connoisseurs of delicious fresh food, mark your calendar for October 4th and join us for “Feast from the Fields”. 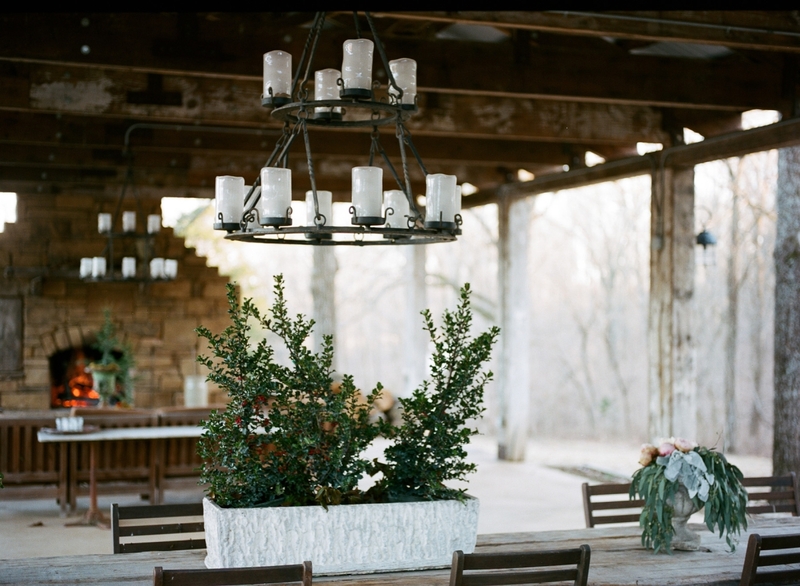 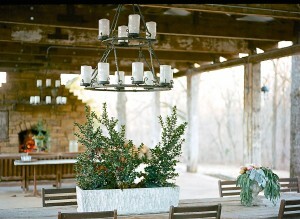 This unique farm to table dinner will be held at Bloomsbury Farm, the perfect setting to relax and enjoy an abundant gourmet meal with wine pairings. 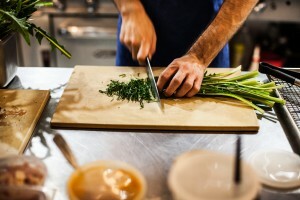 James Beard Award nominee Chef Philip Krajeck of Rolf and Daughters Restaurant will creatively prepare a savory four course meal using only the best ingredients from local farms, such as Bear Creek Farm and Bloomsbury Farm. 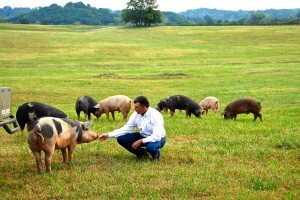 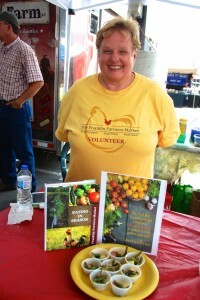 Proceeds from “Feast from the Fields” benefit the Franklin Farmers Market and the Franklin Farmers Market Educational Foundation. 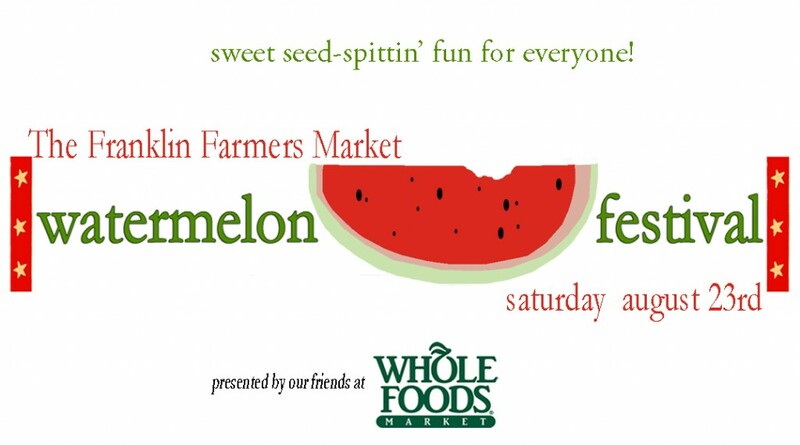 Tickets are on sale now. 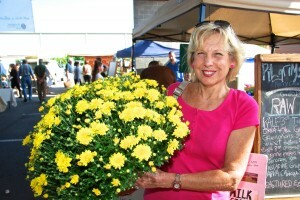 The official first day of fall this year is September 23rd and that caused a lot of people to stop by the market’s info booth to find out when the market would shut down for the winter. 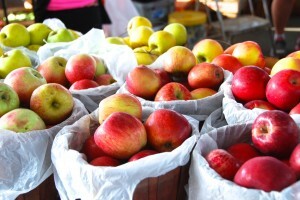 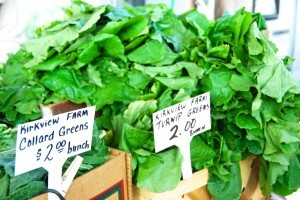 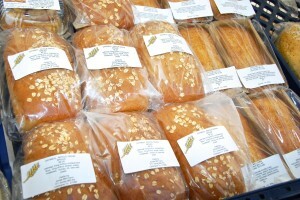 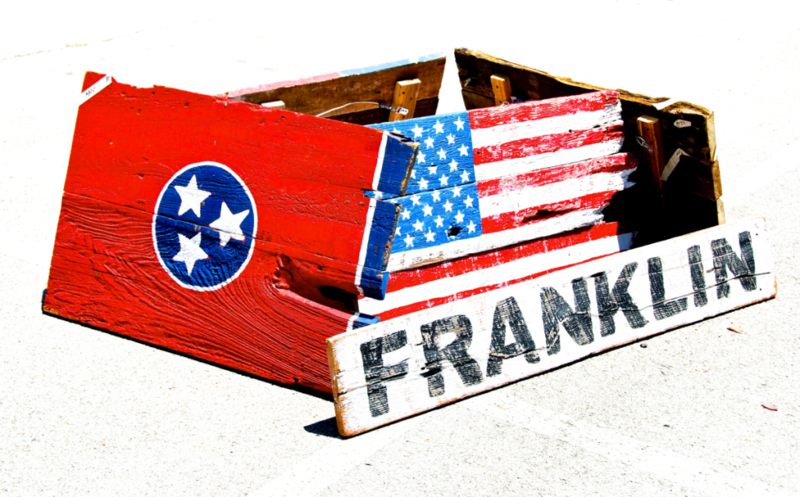 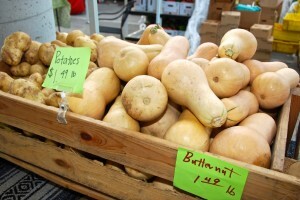 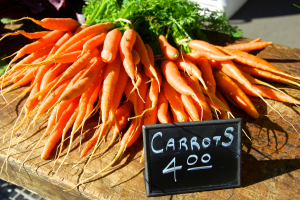 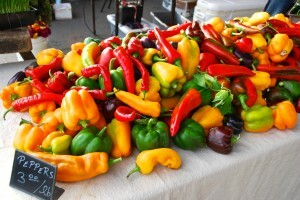 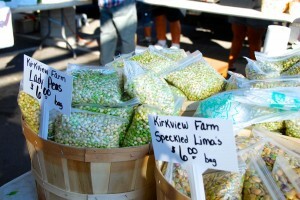 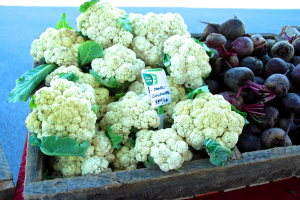 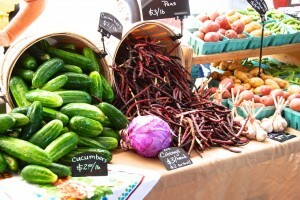 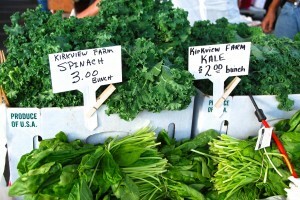 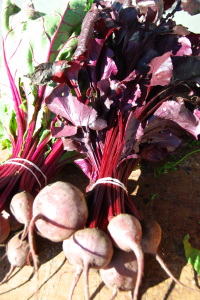 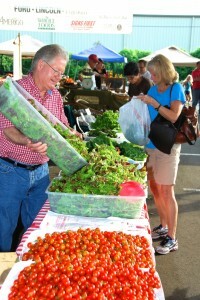 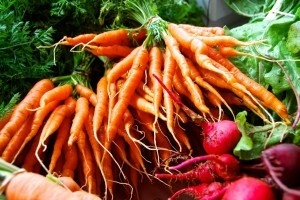 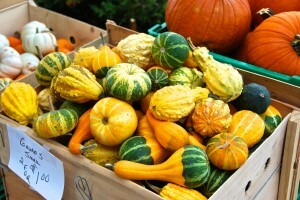 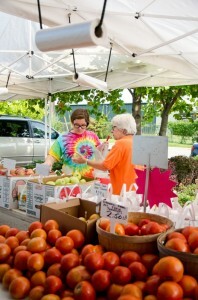 A little cold weather doesn’t bother us – the Franklin Farmers Market is a year-round market. 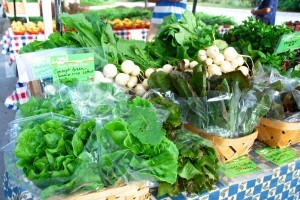 Our farmers don’t stop growing during the winter. 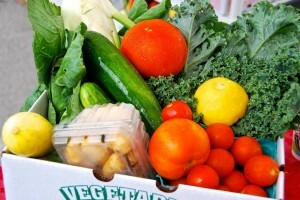 And while the produce grown in cooler temperatures differs from summer vegetables, there’s still a lot of good vegetables to eat. 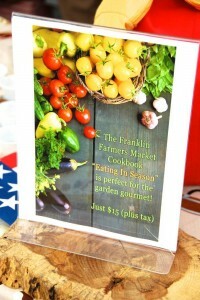 To find out what’s at the Franklin Farmers Market during the winter, stop by the info booth and pick up a free copy of the Local Table magazine. 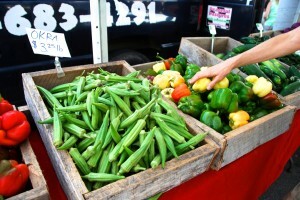 There’s a big seasonality chart in Local Table that will show you the peak season for practically every vegetable and fruit grown in Middle Tennessee. 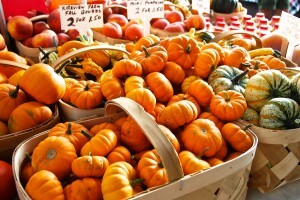 Winter market begins on November 1st! 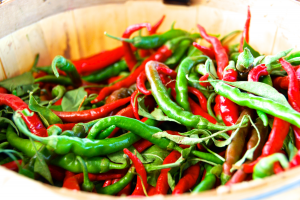 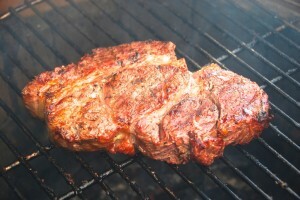 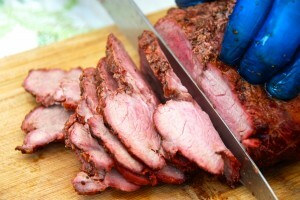 Taste it – you’ll like it! 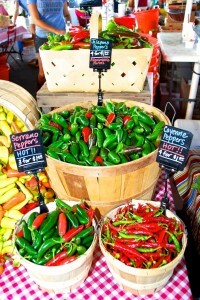 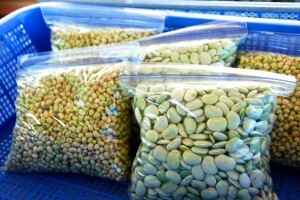 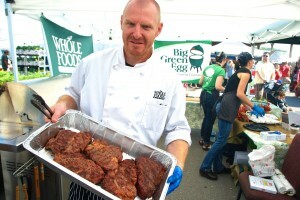 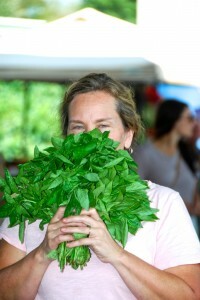 We like to share the photos we snap each week at the market. 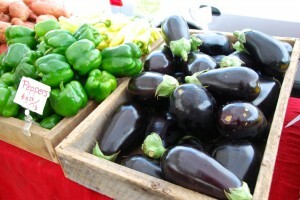 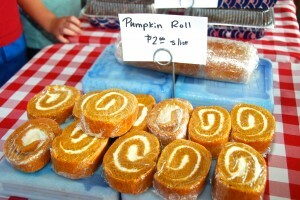 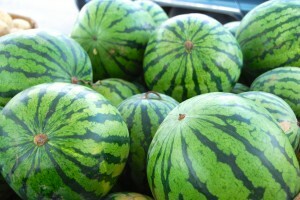 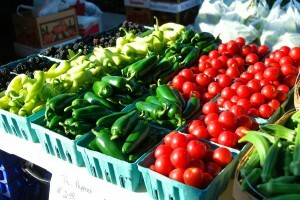 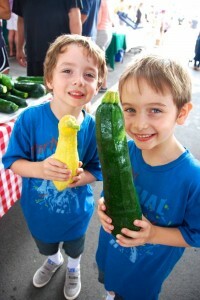 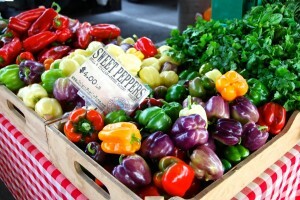 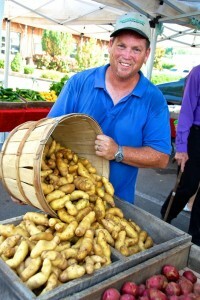 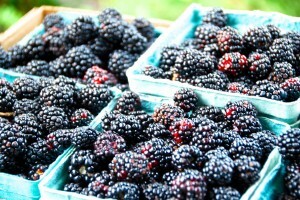 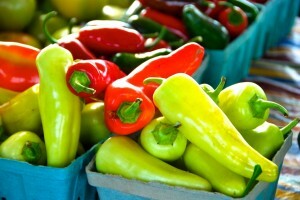 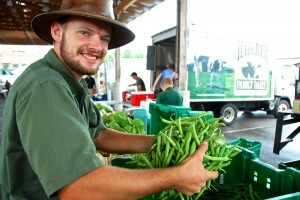 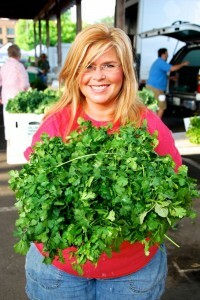 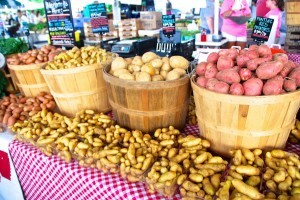 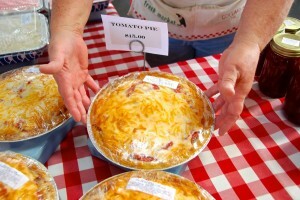 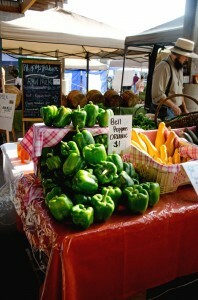 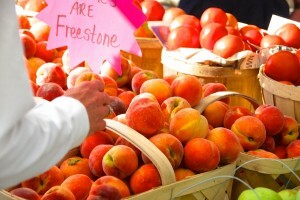 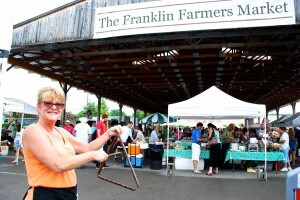 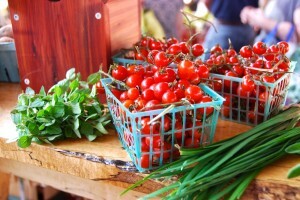 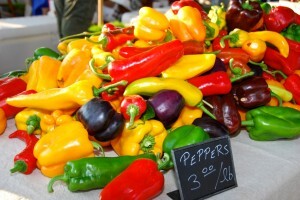 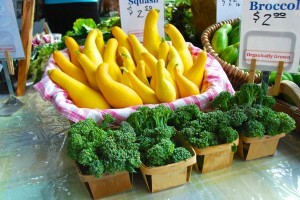 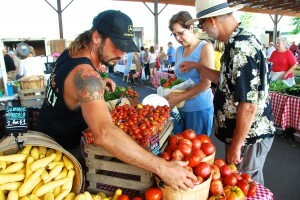 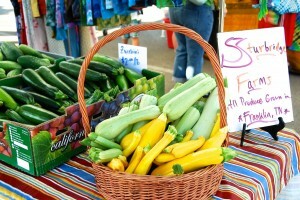 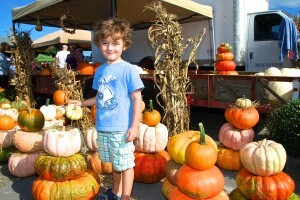 See who and what we captured on camera with a visit to the Franklin Farmers Market’s photo gallery! 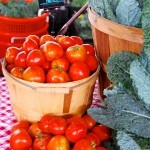 This entry was posted in Market Saturday News and tagged Bear Creek Farm, Bloomsbury Farm, Farm Dinner, Farm Produce, Franklin Farmers Market, Rolf and Daughters on September 8, 2014 . 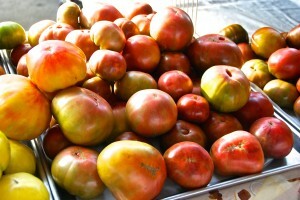 It really was a Kodak or Pintrest moment – the red tomatoes and yellow squash, green cucumbers, purple beets and blueberries. 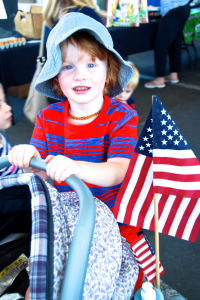 It was a colorful, picture perfect 4th of July weekend day at the Franklin Farmers Market this past Saturday, with a huge array of summer’s finest produce and fruit. 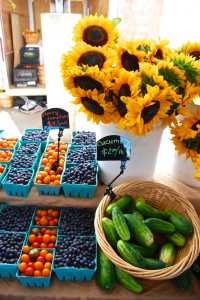 From cauliflower to peppers and blackberries to peaches, practically everything foodies crave could be found at the market. 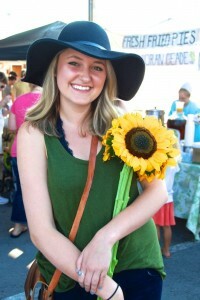 The long holiday weekend and great weather made for big smiles all around the market too. 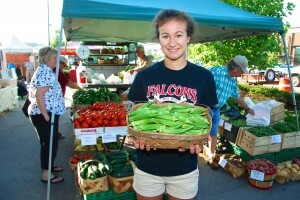 For proof of that, just take a look at our market photo gallery. 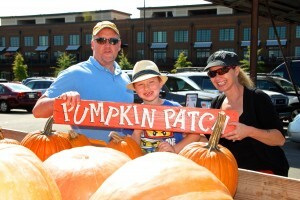 What a great day! 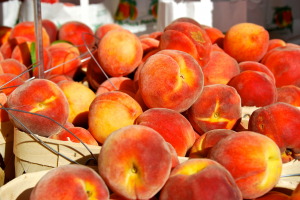 Is a peach cobbler in the works? 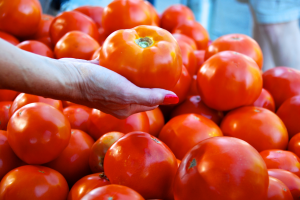 Tomato, toemato- makes no difference in how you pronounce it because both mean you’re getting ready to eat something really good. 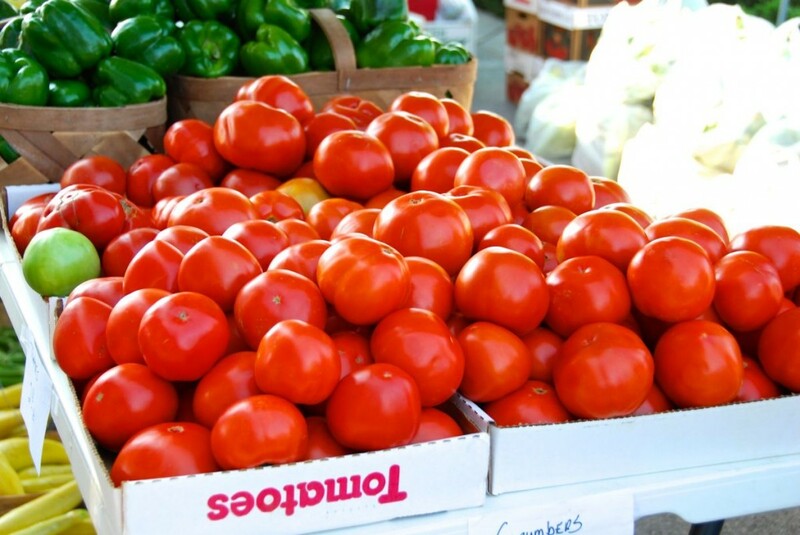 It’s the perfect time of the year for tomato lovers. 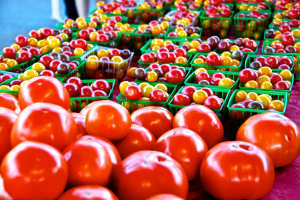 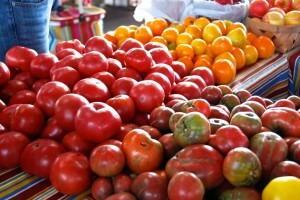 You can find tomatoes in all colors, sizes and varieties at the market now. 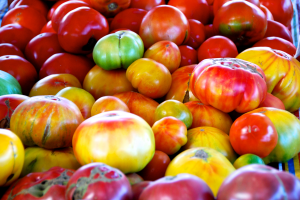 The tomato truly is the king of summer produce and as such, deserves to be celebrated. 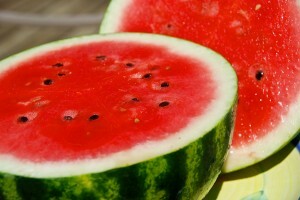 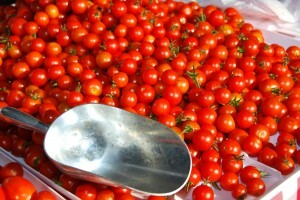 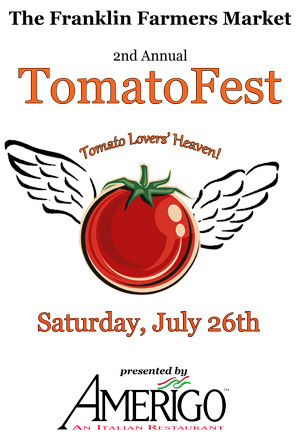 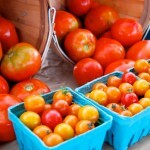 So join us on July 26th at the market as we pay homage to the tomato with TomatoFest. 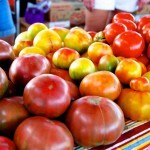 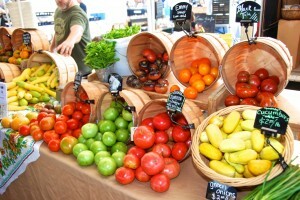 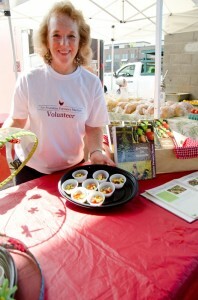 Lots of good heirloom tomatoes to sample, kids’ activities and much more. 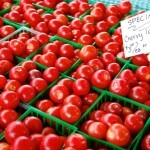 Rumor has it that some “rotten tomatoes” may be flying around too! 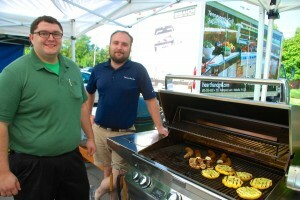 It’s all presented by our good friends at Amerigo, July 26th at the FFM. 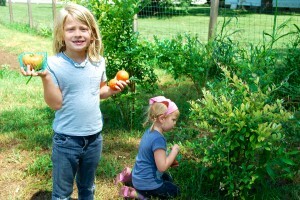 Just a reminder that the July classes at our Growing Kids Educational Garden will begin this Tuesday. 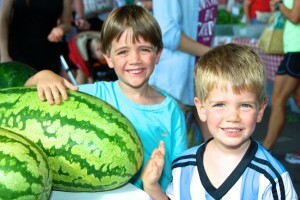 From “bees please!” to melon mania, the classes at the kids garden are a fun and interactive way for kids to learn more about the environment and where their food comes from. 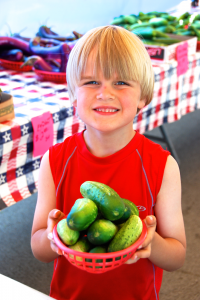 Visit our Kids website page to get more info and sign up for classes! 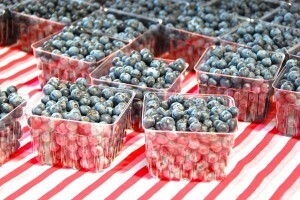 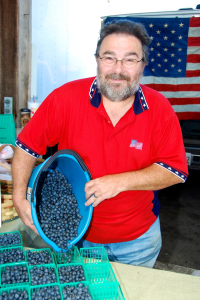 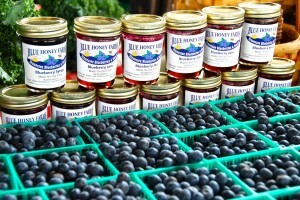 This entry was posted in Market Saturday News and tagged blueberries, Franklin Farmers Market, tomatoes on July 7, 2014 .